We’ve always heard of low pH or pH balanced facial cleansers but rarely I’ve come across pH balanced shampoo. After all, no one wants to strip off natural moisture of the scalp! 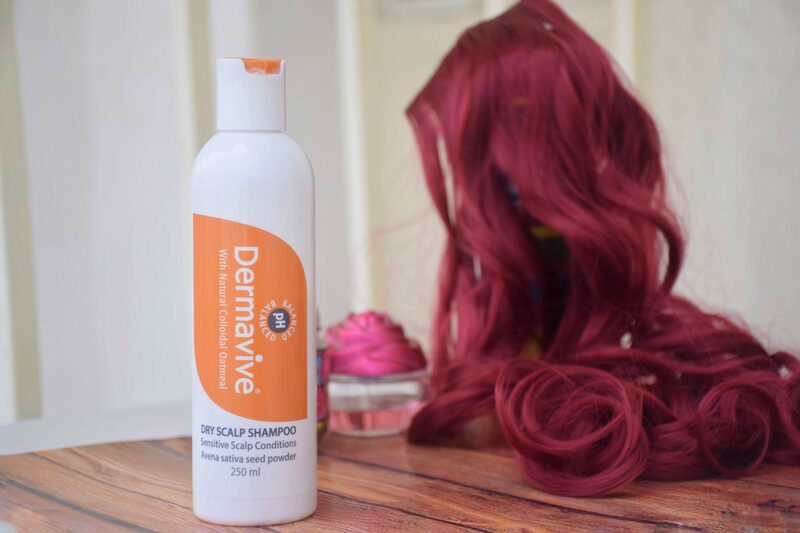 So I was highly intrigued by the Dermavive Dry Scalp Shampoo when I saw pH balanced in the description. It was already in my wishlist when the brand approached me for a collab and I was more than happy to accept. Let’s find out more about this product. A little about the brand: All Dermavive Products are made in Australia & recommended by many leading Dermatologists in India for the past 10 years. They are available in pharmacies, skin clinics and now can be easily purchased from Amazon India and Flipkart. All products are made from the finest ingredients using state of the art technology following highest Australian Standards. You can learn more about them here. 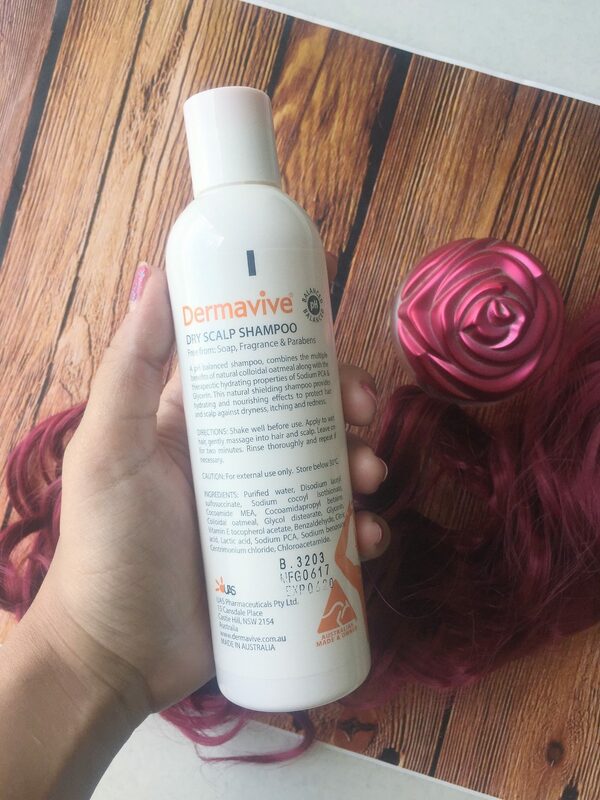 Dermavive Dry Scalp Shampoo retails for Rs.1200 and we get 250ml product. It has an expiry of 36 months. In India, Dermavive products are available on Amazon , Purplle & Flipkart. I haven’t seen them in stores yet. But just noticed they have mentioned the stores on their website from where these can be purchased. Find the list here. This range of Dermavive products is meant for dry, itchy and irritated skin. It contains natural colloidal oatmeal which is a scientifically proven ingredient and provides many beneficial features to manage and treat dry skin conditions. It restores the normal pH balance of the skin and maintains the natural acidity of the skin, thereby protecting against dryness. It also works as a skin protectant and enhances the barrier of the skin. 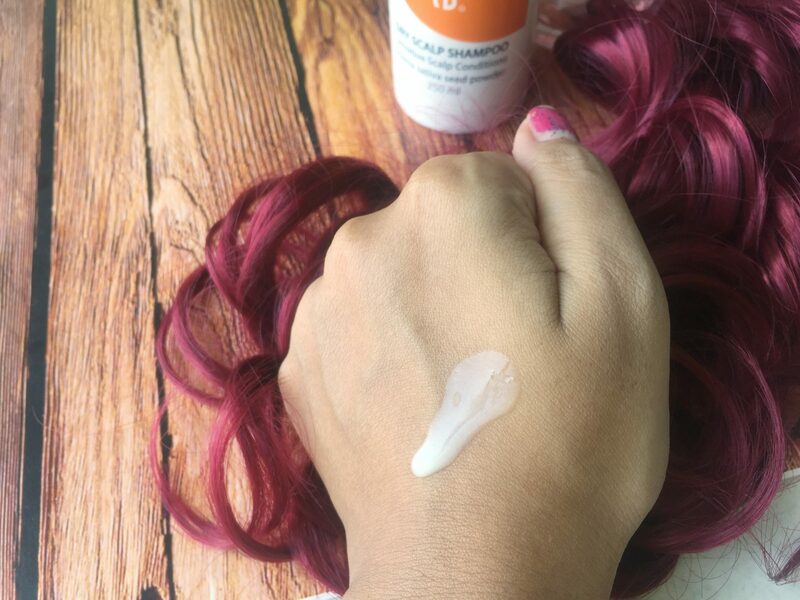 The formula is free of SLS, SLeS, parabens or any kind of silicones. The packaging is sturdy. 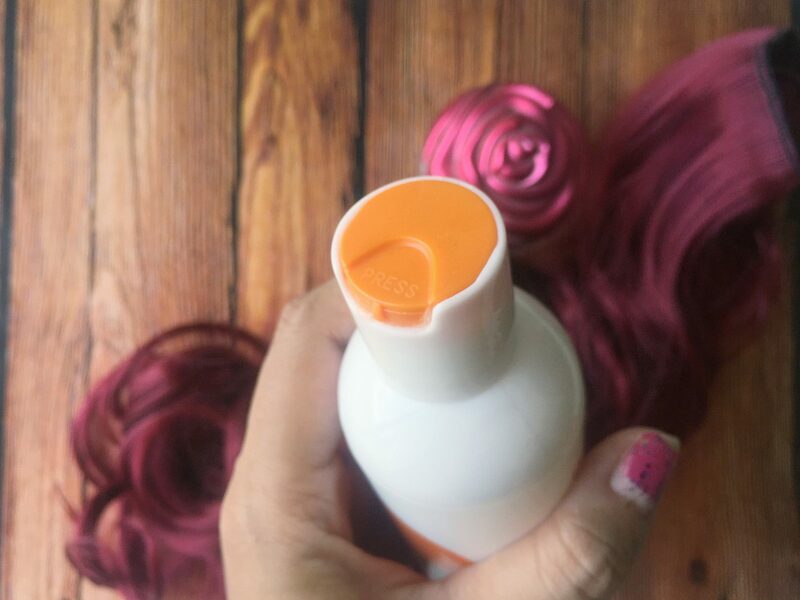 The shampoo comes in an opaque plastic bottle with a flip top cap. I usually prefer see through packaging but nevermind. 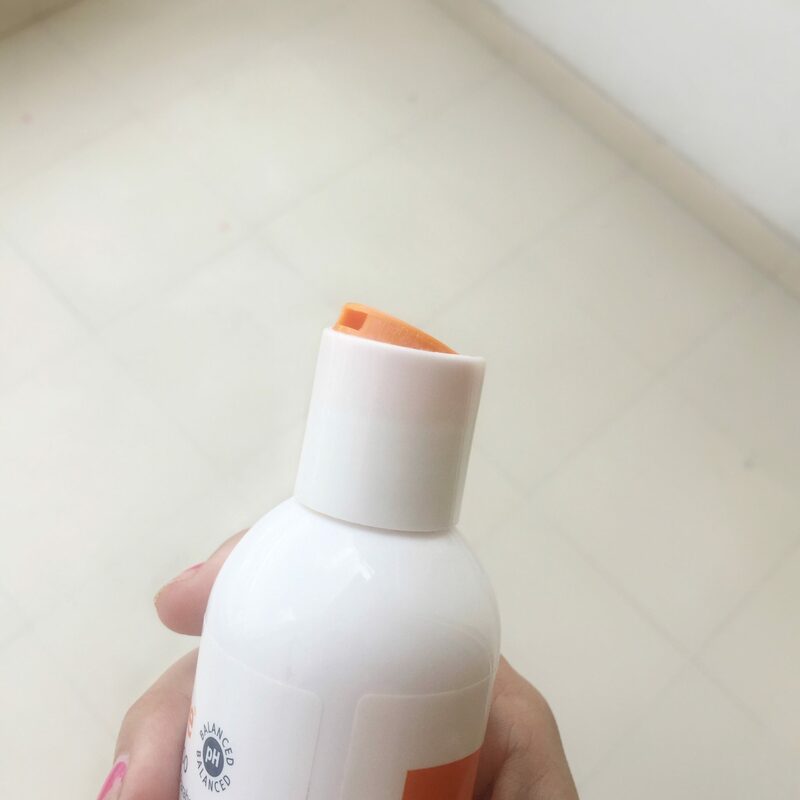 The packaging is travel-friendly and doesn’t leak. I had carried this to Ahmedabad with me without worrying about any kind of spillage. The packaging is very user friendly as well. One can easily use the shampoo with wet hands in the shower. The amount of the product dispensed can easily be controlled. 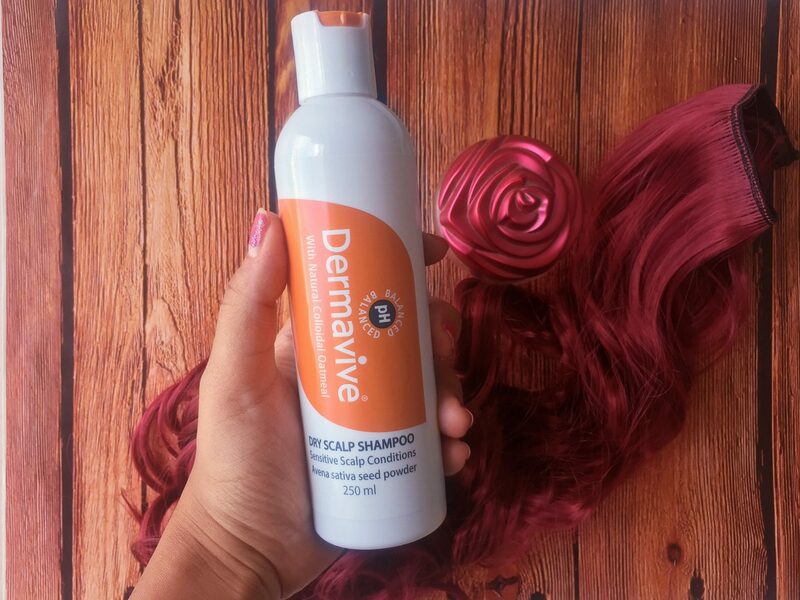 Dermavive Dry Scalp Shampoo has a runny consistency. It looks pearly white and has a similar fragrance like the hydrating cleanser, of fermented oats. Again, not so fond of the fragrance but it doesn’t linger at all. Though meant for dry scalp, the shampoo lathers pretty decently. To be honest, I had expected this to be non foaming, very mild kind of a shampoo. Hence I used it without oiling my hair for the first couple of times and regretted it instantly. I have slightly dry scalp which worsens during colder weather and this didn’t help much. But then I realized that it lathers up pretty well. Hence I oiled my hair as usual before shampooing after which my hair felt much softer. The dryness of the scalp was reduced and the itchiness was almost gone. I made my mom and sister use this shampoo and they loved it too. I follow up with a hydrating conditioner/mask from Aaranyaa and my hair has become much more manageable. I like the fact that this cleanses my hair well without making them super dry. I know this might be costly for some, but if you have dry-itchy scalp and are ready to shell out some money, then this might be a very good option. Also, in spite being meant for dry scalp, this is going to suit pretty much everyone. Sounds like an awesome shampoo. It’s costly but looks worth it for dry itchy scalp.